Location, location, location!! 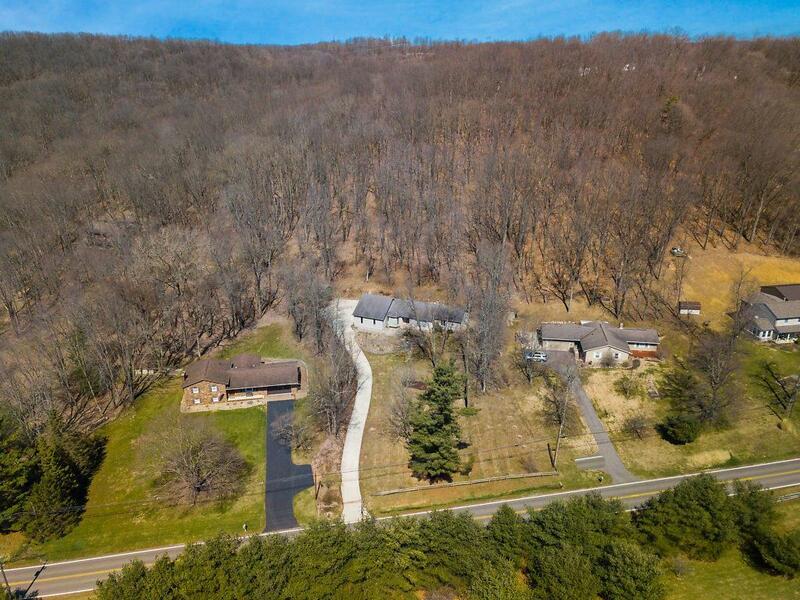 Perched on a hill and backing to woods provides stunning views, privacy, and a serene country setting... only minutes from the grocery store! Split master plan puts the master suite at one end and second bedroom and bathroom at the other end. 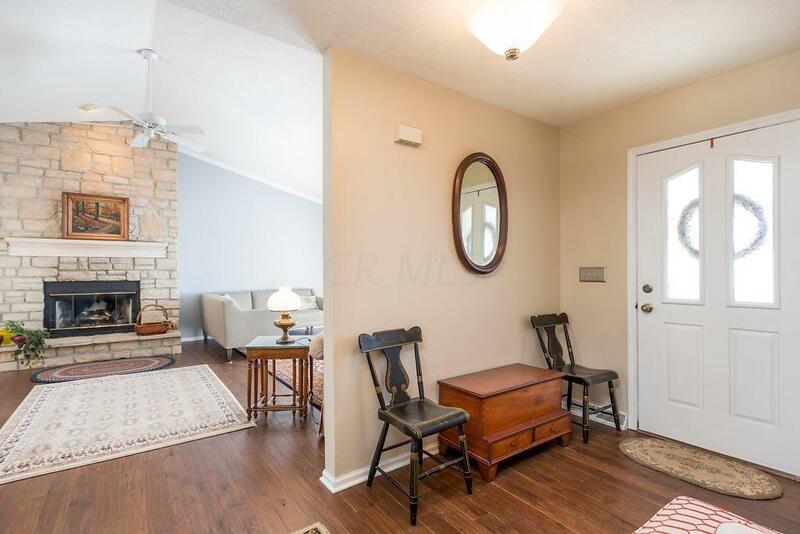 Gorgeous floor to ceiling stone fireplace is the focal point of the living area. Vaulted ceilings, wall of windows with sweeping views, and a glass door flanked by more windows leading to the back deck make this space light and bright. Huge kitchen offers tons of cabinet and counter space and island bar seating, with a front room area that could be formal dining... or a combination of living space and breakfast nook. 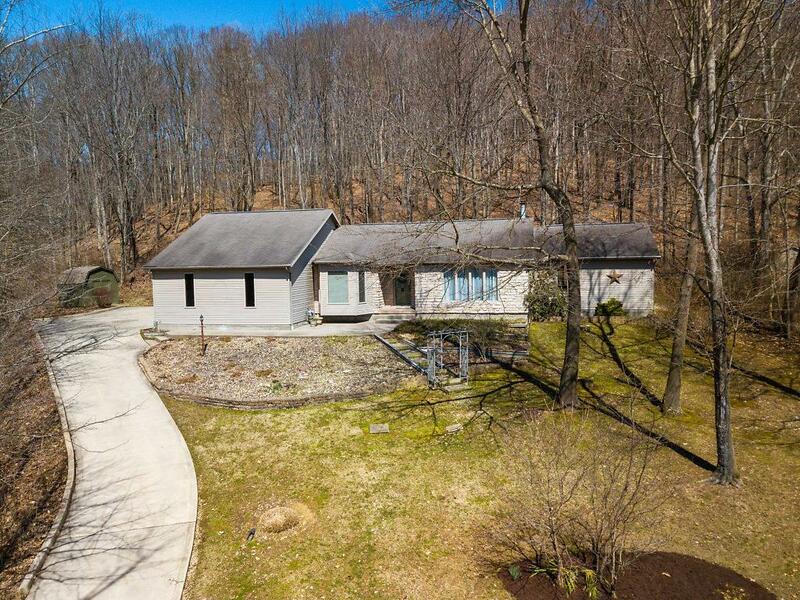 Enjoy quiet reflection in the screened porch, or get your game on in finished lower level. Welcome Home!